If you want to explore and see great heights, then backpacking is the way to go. You can be mobile while still having all the supplies you need close at hand. Experienced hikers know that the quality of your gear is key to your comfort and your safety. 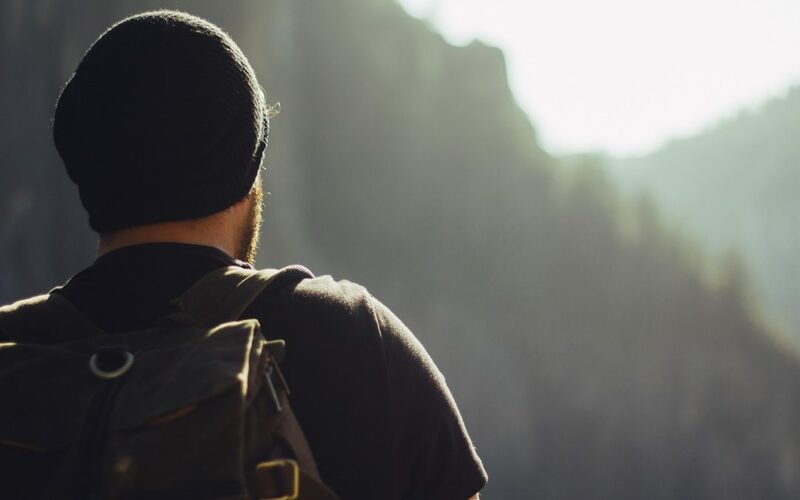 Choosing the best hiking backpack means you'll have the freedom to hit your favorite trail without worrying about leaving critical gear behind. Choosing your backpack is really a personal process. Everyone is different, so take some time to think about what you need and what you'll be doing on your hike. Consider every aspect, from the weight of the pack to how many days you plan to be gone. Think about what you'll need to carry and how you want the backpack to fit. You shouldn't just pick up any old pack and head out. You need to consider several important factors to ensure you choose the best hiking backpack to meet your needs. We offer some great information below that will help you sift through the options and find your best hiking backpack. We'll help you find a pack with a good fit and offer some options on where to shop. We'll also go over some features to look for and explain how to know what size and type of backpack will work best for your needs. This information should help you to pick your next piece of critical hiking gear. Solid gear doesn't come cheap. 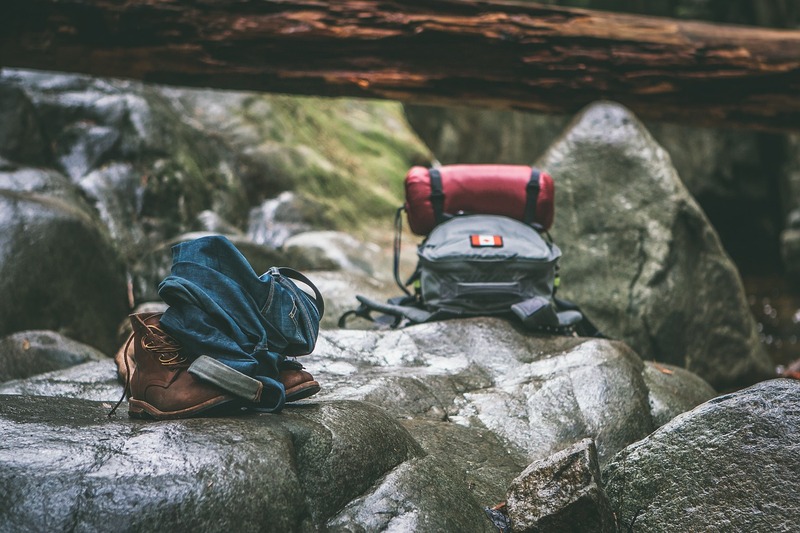 So, the first thing you should realize about shopping for the best hiking backpack is that you're probably going to have to spend some money to get a good one. Even if you buy used, it will still cost some money. However, if you're serious about backpacking, it is a good idea to buy new because then you know you are getting good quality. You can trust the durability and have the manufacturer's warranty if you find issues. You won't have that peace of mind if you buy your gear secondhand. 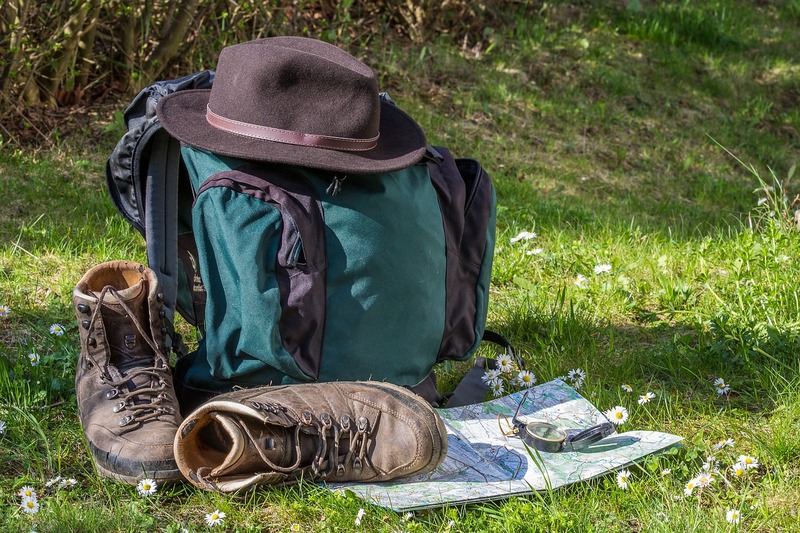 After all -- when it comes to buying outdoor equipment, saving money shouldn't always be at the top of your list of considerations. Quality should reign above all else. With that in mind, you also need to look for trusted brands. You don't want a cheaply made backpack. The last thing you need is to end up in the middle of a hike and have a strap break or something else go wrong with the pack. For that reason, focus on reliable brands that users say will hold up and last. If you are going to spend some money for a good backpack, at least make sure it comes from a brand that has a good reputation for rugged, quality products that will stand up to the rigors of a hike. The best places to shop would be stores that focus on sporting goods or outdoors products. These places will carry the best hiking backpacks because they're focused on providing goods to serious hikers and campers. They understand the need for quality and will provide top quality products. You're most likely to find what you need there, and you won't have to compromise when you shop at one of these retailers. As you begin to check out your backpack options, the first thing you need to think about is the size and style of the pack. The main feature to look at is the capacity. You want to be sure it will hold everything you need it to, and how much you need it to hold is going to depend on the type of trip you have planned. Also, keep in mind the size plays into how heavy the pack is, so always keep your physical capabilities in mind, too. That's a good thing if you are concerned about fatigue. If you are heading out on a slightly longer trip, something up to five nights, then go for a capacity of about 50 to 80 liters. This is good for lighter packing of longer trips. If you are hiking during warmer months in warmer areas, this size pack should be good to help you make it five nights with all the supplies you need. 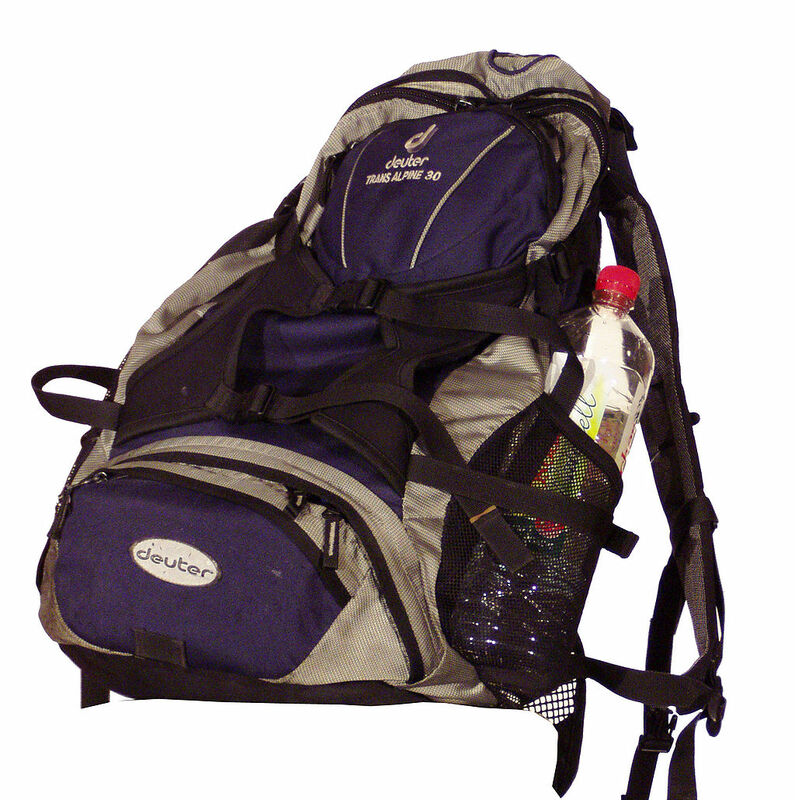 If you're going on longer trips or you have bulky gear, then you should look for at least 70 liters capacity. This is going to hold a lot of camping equipment. It will allow you to focus more on packing everything you must have instead of being concerned over the limited space and heavy weight. You should be able to make this work for family hiking or if you are carrying gear for someone else, too. Keep in mind that you will find backpacks of all sizes. It may be tempting to just get the biggest one, but what you don't need is a huge pack with a lot of empty space. If you get the biggest one in your budget, you'll end up hauling around a heavy pack for no reason. Always think about your plans and what you will be doing on your trips. Also, when buying your gear, always lean towards lighter weight items. You don't want the bulk of heavy gear weighing you down and taking up precious space in your pack. Choosing the right size for the job will also force you to keep the weight of your pack reasonable. Understand that hiking in winter or colder climates means bigger gear. So, while you may only be gone a couple of days on your hike, you may need a bigger pack than those based on the guidelines above. For winter use, the best hiking backpack is the one with capacity to carry all the cold-weather gear you'll need. The features that define the best hiking backpack will become very important to you as you get further into hiking. You will find that some features can really make things easier for you. Other features of the backpack are going to be important to your comfort and your ability to wear the pack correctly. One of the first things to understand is the frame type of the backpack. The frame should be lightweight. You don't want extra bulk from the frame, if you can avoid it. The frame provides stability for your pack and helps aid you in carrying the pack, so it is an important feature. Most of the backpacks you will find have internal frames. They help keep you balanced and ensure the load weight is on your hips, which makes it easier for you to carry without ending up with a backache. External frames are not as popular. They do help for really heavy or awkward loads, however, because they allow additional organization options. Ventilation is another feature to think about. You need adequate ventilation to prevent problems with your gear. Nothing is worse than stopping for the night to discover damp or mold in your sleeping bag. Some packs use mesh panels or built in vents to provide the right ventilation. Is it easy to pack? You also have to think about loading and unloading items, and how the pack is built for access. Check out the way you would load it. Some packs open at the top, while others may have a panel that opens on the front. Some may have a combination of loading options. Consider your gear and how easy it would be to load the pack based on the access points. 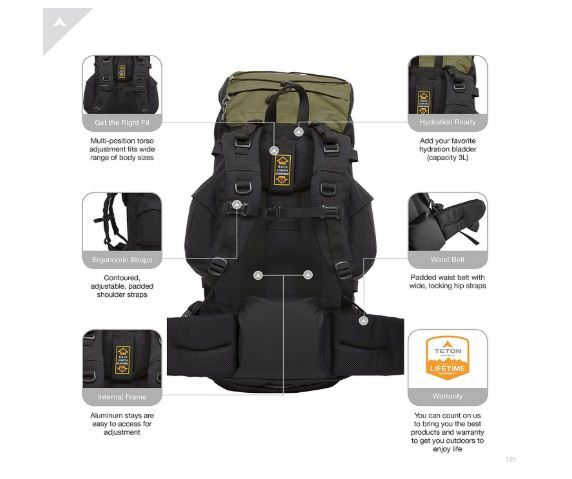 Other features include padding, pockets, and organizational aspects of the pack. You have to really focus on usability to ensure the pack will meet your needs when considering features. Finally, you have to be sure the fit of your backpack is right. You should measure fit on your torso length. You need the pack to fit your body, so the weight is comfortable to carry. It should fit snug on your hips where the weight should fall because that is your strongest point. You will need to rely on the manufacturer's details to learn about how the pack should fit, but you also need to try the pack on. Make sure you can adjust it for a snug fit. The straps need to fit correctly around your waist and tight on the hips. Look for packs with adjustable straps to help ensure you can customize it to your body shape. Take time to find the right fit. This is probably the single most important aspect of finding the right backpack. If you don't get a good fit, you'll regret it later. You'll have a hard time carrying the pack and probably suffer from muscle strain. You may even be unable to complete a trip or end up really harming your body by using a pack that doesn't fit right. The bottom line when it comes to buying a backpack is that you need to buy carefully. You have to focus on quality and buy from a specialty store that will offer you the best selection and options. You should focus on your requirements and ensure the pack fits right. If you take the process seriously, then you should not have any trouble finding the best hiking backpack to fit your needs.